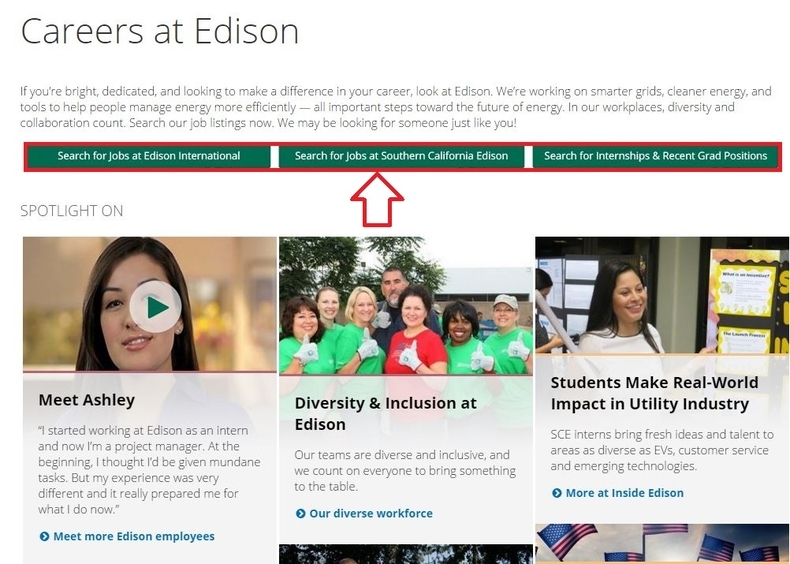 Visit edison.com/careers or edison/careers to get yourself landed on Southern California Edison career page on which you can see three career areas - Jobs at Edison International, Jobs at Southern California Edison and Internships & Recent Grad Positions. Here we choose the middle one - Jobs at Southern California Edison. 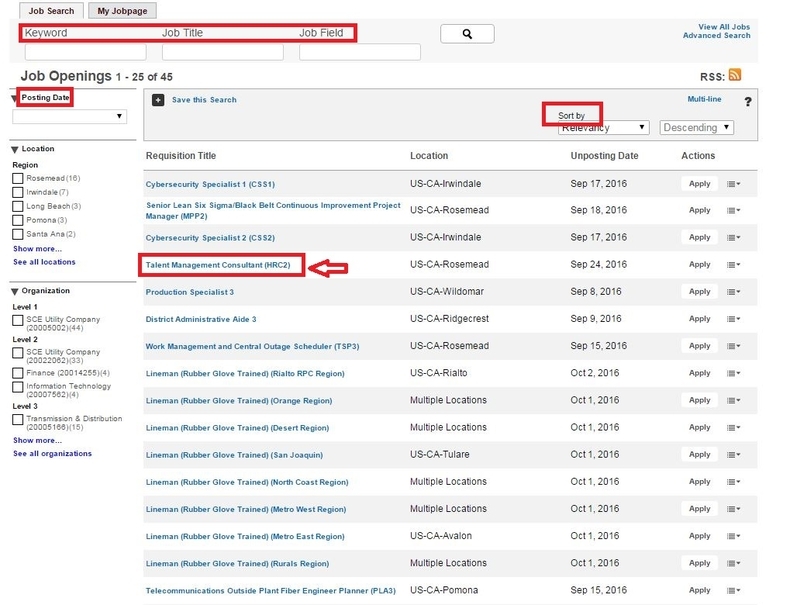 Search your ideal job title by inputting keyword, job title and field or use the sorting criteria on the left side of the page to help you fix a job. 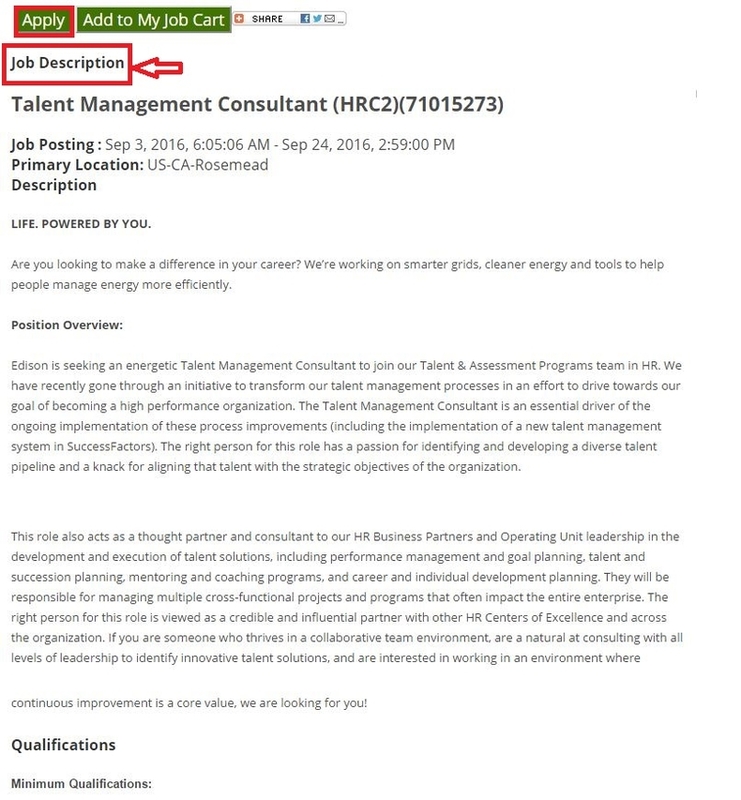 Here we just click the job title - Talent Management Consultant (HRC2) in the list to see what's the next step of applying for such a position. 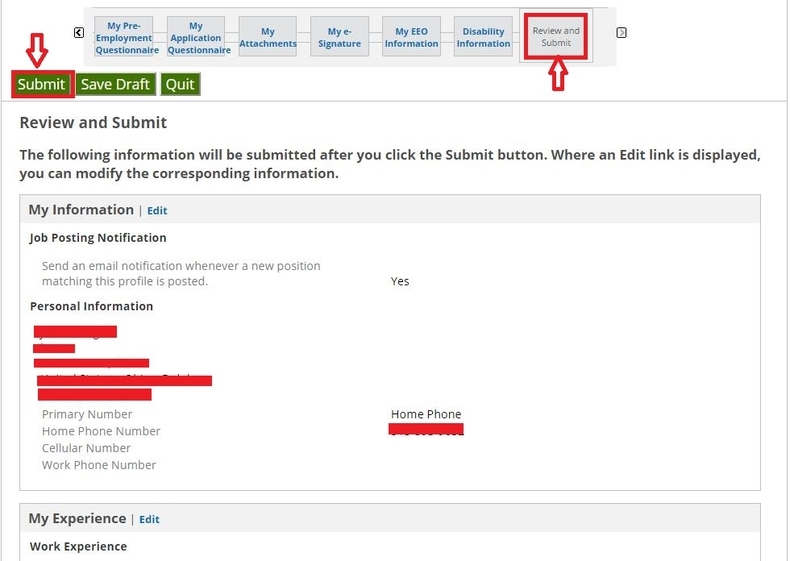 Read job description of the position your are applying for carefully and click "Apply" to continue. Identify yourself by providing the information requested in the fields below, then click "Login". If you are not a registered user, click "New user" and follow the instructions to create an account or you can choose to sign in with your Google+ or Yahoo account. 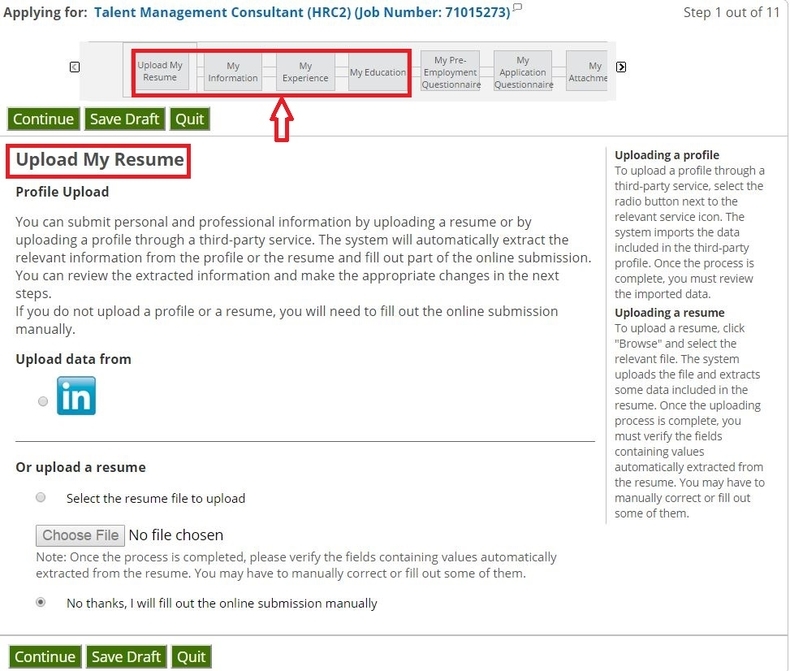 step 5 is a condensed version of 4 steps shown in the picture below starting with uploading your resume or importing your data from LinkedIn. After you finish the resume part, you'll be asked to fill out your personal info, job experience and education background info starting with the most relevant one concerned.You must specify 1 work experience and one education entry. Step 6 will illustrate 4 concrete steps as the arrow directed in the picture. 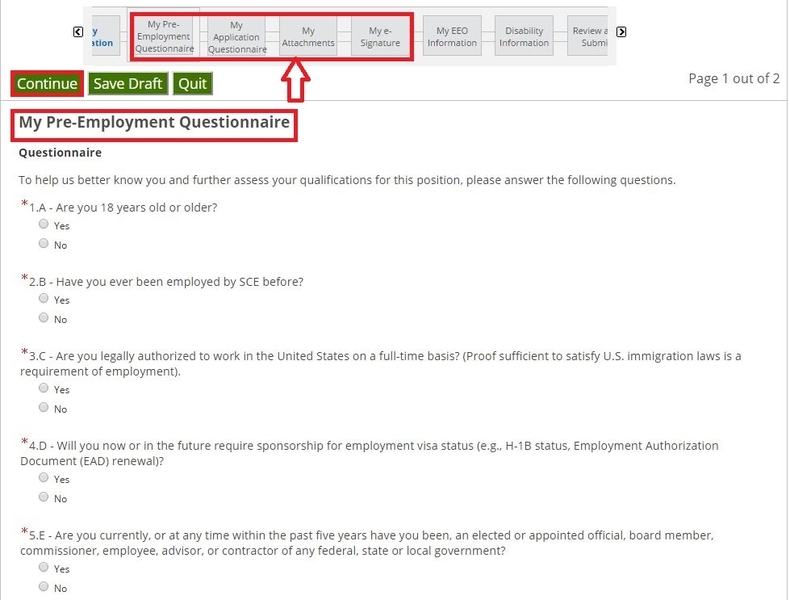 You need to accomplish the task of doing the pre-Employment and application questionnaire and then attaching files to the candidate record (e.g. : resume, references, certifications, transcripts, etc.). Once a file is attached, you can overwrite it by attaching a file with exactly the same name and extension. Afterwards, you're asked to read Acknowledgement and Authorization statement and then type your full legal name as your e-signature to verify that you have read, fully understood and accepted all terms of the foregoing statement. 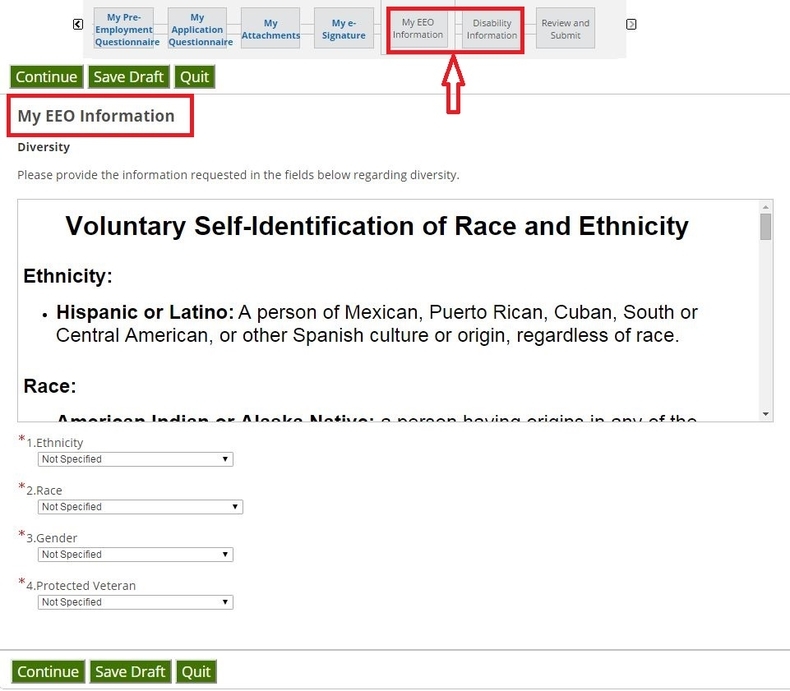 Step 7 requires you to provide information regarding diversity by reading the Voluntary Self-Identification of Race and Ethnicity and Self-Identification of Disability and then indicating your ethnicity, race, gender, status of veteran and disability. Review and submit your application. The information will be submitted after you click the Submit button. Where an Edit link is displayed, you can modify the corresponding information. You'll be led to the page below on which it shows a Thank You notification, which means you've done with your Southern California Edison online application. If your employment profile corresponds to the company's requirements, a member of its Talent Acquisition department will contact you. You may view the job openings available in the company's Career section and further explore the functionalities of your account. Click edison.com/careers to apply for Southern California Edison jobs online.